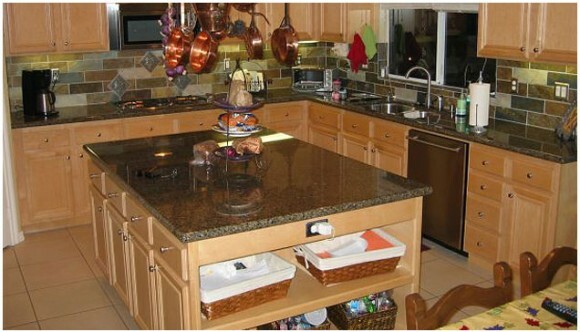 Photo Details: Tropic Brown, Tropical Brown granite, L shape kitchen with island. Also they use slate subway backsplash tile. Its multi color brown, gray and ivory slate backsplash tile.